The great curation of the collection of August Sander prints as part of the exhibition at Tate Liverpool ended last week. 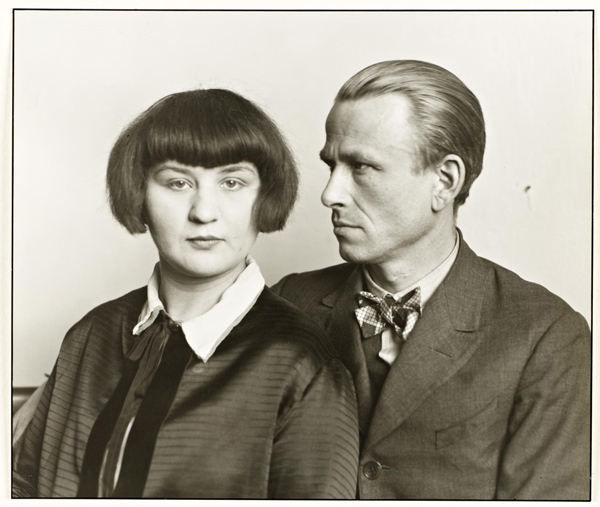 It explored the relationship alongside Otto Dix to the Weimar Republic but was much more than the sum of its parts. The presentation of the Sander archive in one room reminds me that the deliberate nature of portraiture can existentially challenge established notions of reality. Although Sander is working with a much more conventional creative process, the relentless presentation of the prints had the effect of working as an illustration of 'the rejection of a perceived logic and reason' espoused by the Dada movement of his time. 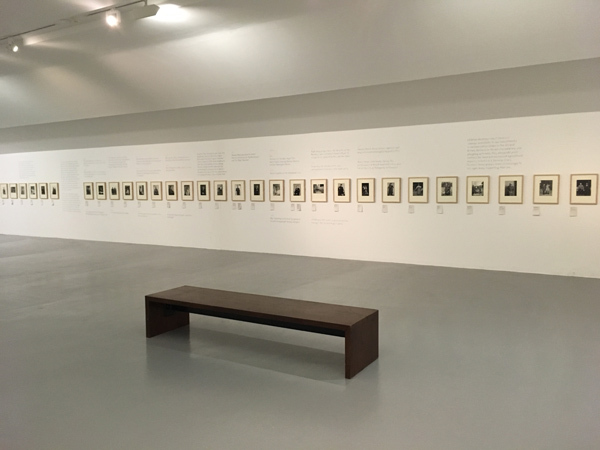 The curators found evidence that Sander wished his work to be viewed and presented along side a timeline of events from the humiliation of Germany through to the rise of National Socialism. Sander's images are so solid and certain in their structure that they interrupt the timeline to create these pastiches of humanity; the subjects captured in amber like mosquitos. The 'subject experience' of entering into a contract with an objectivist is to consider our relationship to the world and at a time of extreme political polarisation (sound familiar) there is a documentation of the human response to events in the faces and body language of the sitter. Sander offers us something close to ambivalence, walking a fine line (as does Dix) between acceptance of status quo and mockery. He uses convention to challenge convention and speaks to an esoteric audience in one language that may be read entirely differently by another. The portrait of Dix himself and his wife is without doubt and for no good reason, genius; it is brimming over with powerful, unidentifiable memes as well as acting as a vital record of when both artists were present in the same timeline. The answer to the argument that it is impossible to be objective is that the artist as objectivist must always be open to that impossibility as part of their practice. As a portraitist I observe and record a subject but I must always keep in mind that I am capturing the sitter as they observe me with the same scrutiny and we see this relationship in the eyes of Sander's subjects. In these formal poses there is evidence of the pressures and fears of the time, which communicate a different historic insight than traditional documentary record. With the volume of work in his archive, the 'sitter' becomes less relevant than the message..the immediate narrative of 'portrait of farmer' or ''portrait of artist' is an excuse to explore a wider demographic response to the era. There is a reminder of the value of a single human existence equal to each other as the the timeline moves relentlessly towards the worst imaginable outcome. Today it seems every personal statement by photographic artists discuss the paradox of photography and reality but rather than seeing this as some trite, collective plagiarism, it could be an indication of the constant of 'our' modern times; we find ourselves in a phenomenological existence even if we don’t know what it means. There is something to be said for the relentlessness of a practice, the dogma is unwavering in the face of encroaching catastrophe. Applying objectivity to the human condition does reveal a truth in the subject relationship to that dogma. I am observing the fearful defiance of the oppressed leftist intellectual and the equal but terrifying self confidence of the far right, they are both responding to the same events. I am standing in front of a portrait of an SS officer and imagining what it might be like to be in the same room as someone who has the power of life and death over me. As we might consider Mahler as the father of modern music, in terms of photographic portraiture, perhaps we should consider Sander in a similar light.